New Years Eve in Madrid: 4 Local Traditions! New Years Eve in Madrid is spectacular. The city comes alive with people from all over the world coming to celebrate the New Year. Puerta del Sol takes centre stage on New Years Eve. Being the social and geographic centre of the city, this is absolutely the place to be! Crowds will start to gather here quite early on so make sure you come and get your spot before it gets too busy so that you can enjoy the entertainment, fireworks and celebrations. What you might not know about New Years Eve in Madrid are all of the traditions that come along with it. If you want to live in Madrid and become a true local, make sure you join in with the following traditions to have the best New Years Eve yet! This is not exclusive to Madrid, but takes place all over Spain and certain parts of Latin America too. The tradition and challenge, is to eat 12 grapes, one per second, for the 12 strokes of midnight. Now some people think this is easy, some think it’s a choking hazard, and some know from experience that this is a serious challenge! We suggest picking grapes without seeds for a start! The tradition is said to have started in Puerta del Sol and there are numerous legends as to why. One such legend involves vine growers trying to popularise grapes to sell more after a good harvest. Another revolves around a year of bad harvest, except for grapes which were eaten at midnight. The following year they had a great harvest and therefore eating grapes became a superstition to bring in a good harvest the following year. 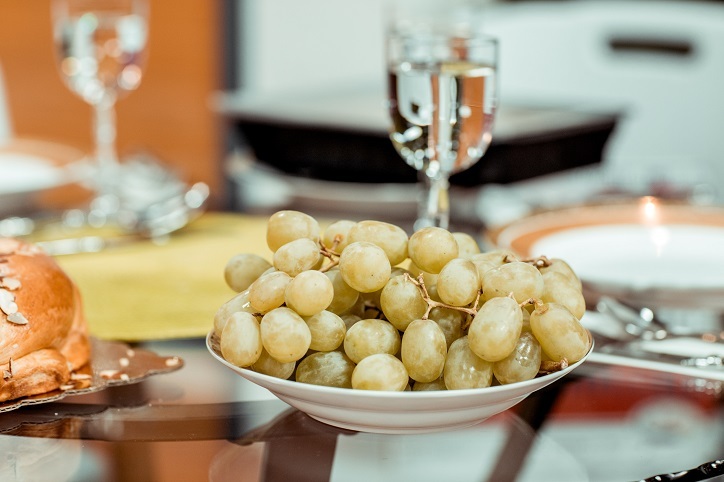 The reason for 12 grapes is to bring in good fortune for each of the 12 months of the year. In the run up to New Years Eve you will start to notice all the clothes shops selling more and more of a certain item – red underwear! This is intended to be a symbol of good luck or even a symbol to bring in love for the following year. This can be any item of underwear - boxers, briefs, a bra or even a garter, and to get the best luck, the underwear should be given to you by someone else! So now you have your 12 grapes, red underwear on and hopefully some trousers to go over the top, but there is more…. 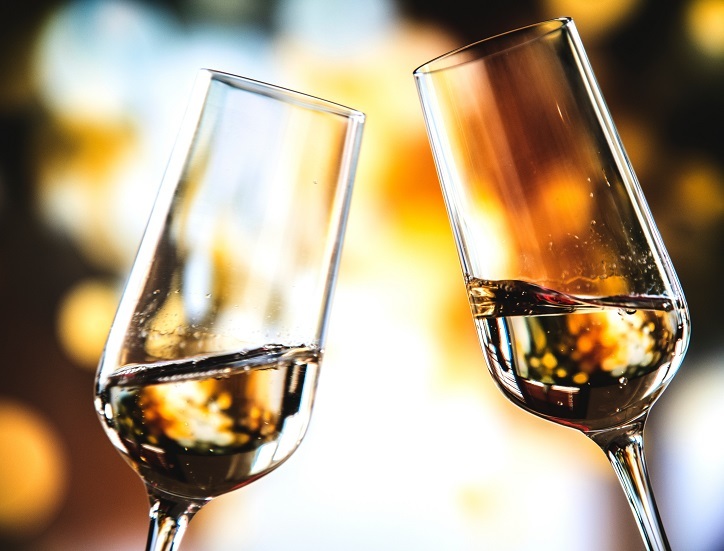 Another tradition which focuses on bringing in good fortune to the following year is to take a glass of champagne (we will accept cava), place an item of gold jewellery into it, whether this is a ring, bracelet or necklace, and drink (carefully!) from the glass. While this is meant to bring in good fortune we think that anyone drinking champagne with gold available to drop into their drink must already be doing well for themselves! Now this tradition is specific to Madrid. The queue will be ridiculous, but you should have your first breakfast of the year at San Gines, a 3 minute walk from Puerta del Sol. 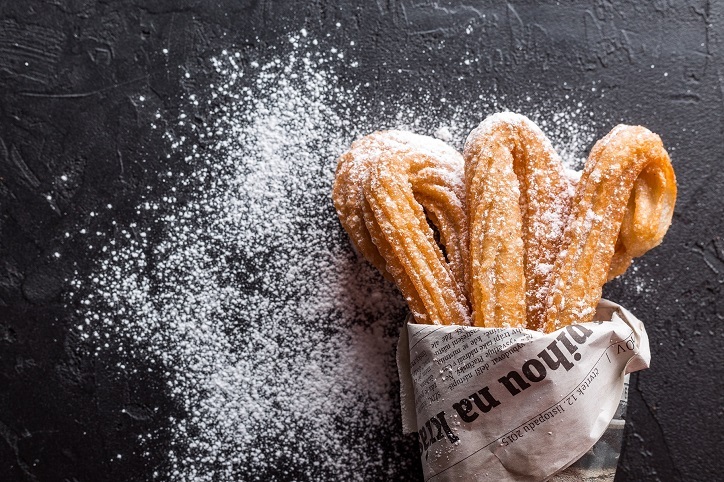 San Gines sells the best churros con chocolate in Madrid (perhaps in all of Spain). It has been open for 120 years so it knows how to make the perfect churro. San Gines is open 24 hours a day all year around and after a night of drinking might just make the perfect hangover cure! If this is your first year living in Madrid, or if you are just visiting, make sure you get yourself prepared and follow all these traditions just like a local and have yourself a New Years Eve to remember! Looking for a place in Madrid? Spotahome has you covered. We are Sion and Ben, a married gay couple from the UK who are travelling the world documenting the best in gay travel and adventure.